University of Texas Medical Branch at Galveston (UTMB), wanted a new recruitment campaign that targeted individuals that drive in traffic downtown to the medical center and influence them to drive to the beach to their center. 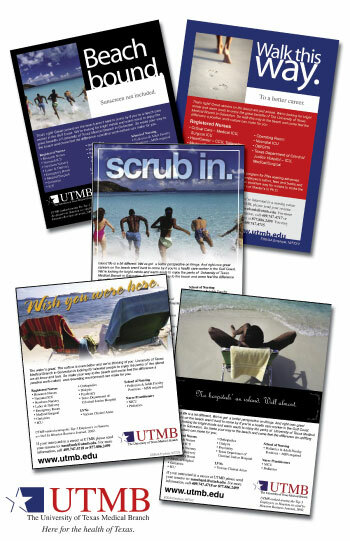 The campaign featured UTMB's uncommon benefits and career advancement opportunities. Print ads, billboards and postcards were created.